Georeferencing orthomosaic and other aerial imagery can have issues if no projection information is associated with the image file. When loading the image file the software will place the image in its own pixel coordinate system if there is no projection information available. 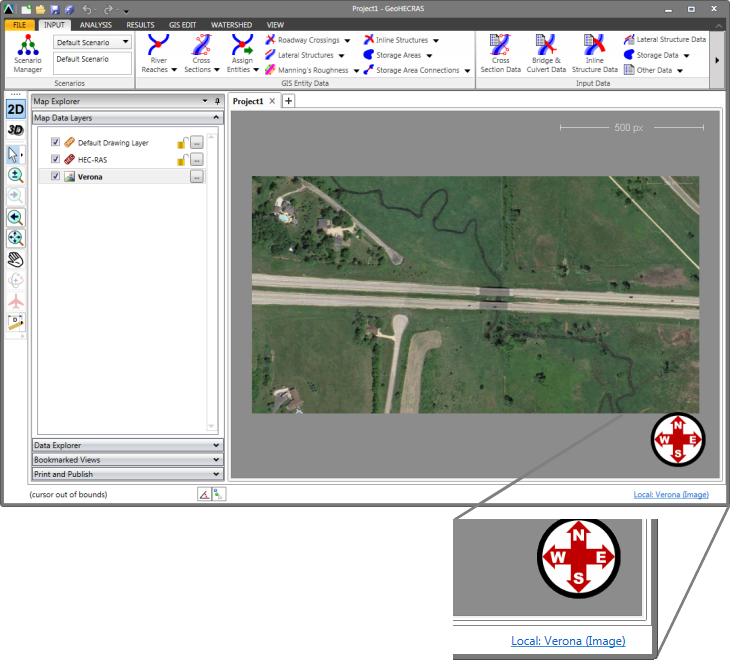 In addition, the software will not allow you to assign a coordinate reference system (CRS) to the loaded image when there is no spatial information defined for the image file relative to what size each pixel occupies (i.e., 1 pixel = 3ft x 3ft). 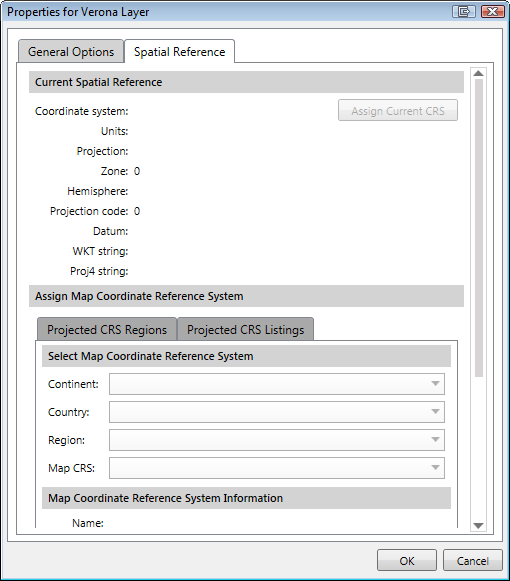 The Spatial Reference tab in the Properties dialog box will have grayed out entries, not allowing the user to assign a CRS. 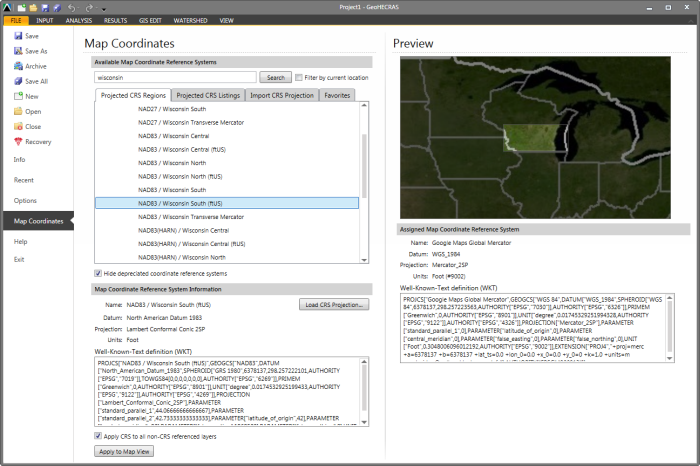 Load a base map (i.e., Google Map, Bing Map) into the Map View. 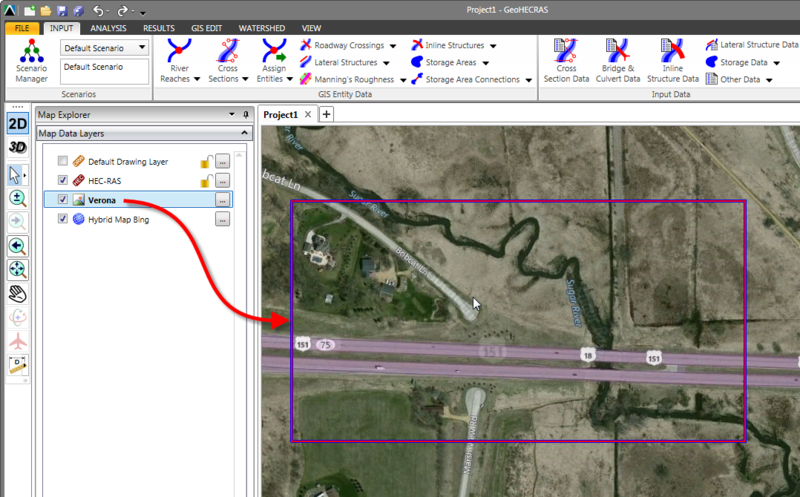 Assign the appropriate coordinate reference system (CRS) to the project site. 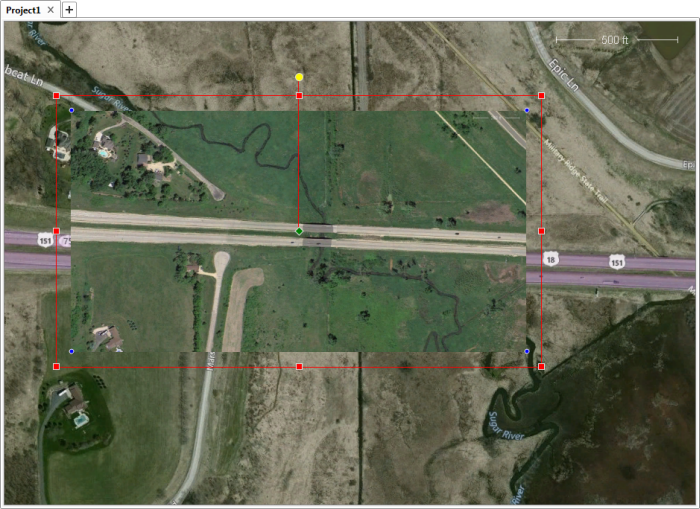 Zoom into the project site in which the aerial image is to be located. 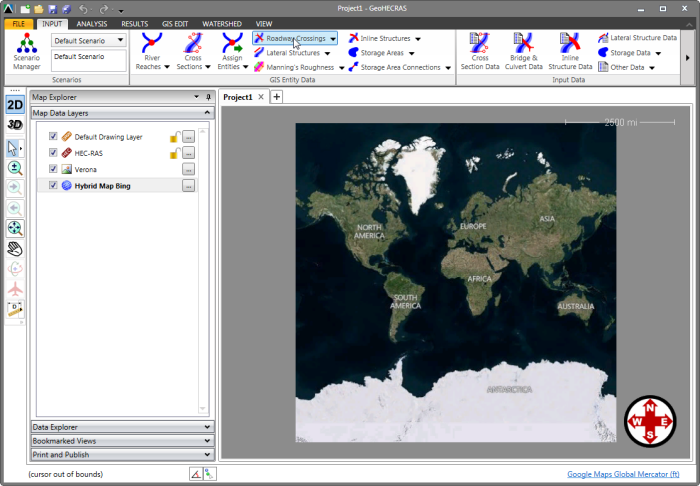 From the Map Data Layers panel, click on the aerial image file and drag the image on top of the Map View where the image should be located and then drop it (i.e., release the mouse button). The software will place the image on top of the Base Map. 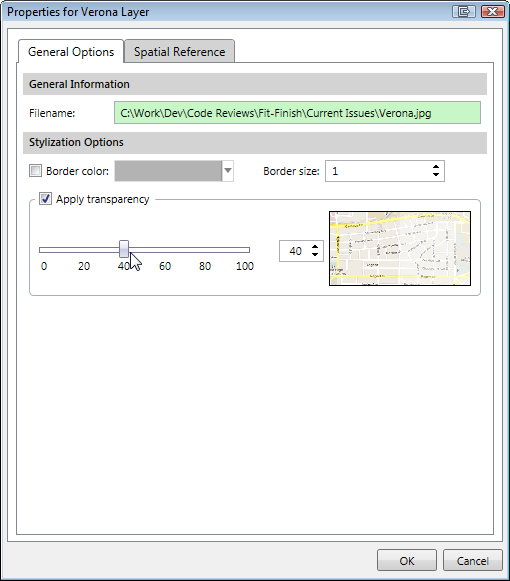 You can check that the correct CRS has been assigned to the image file by displaying the Properties dialog box. 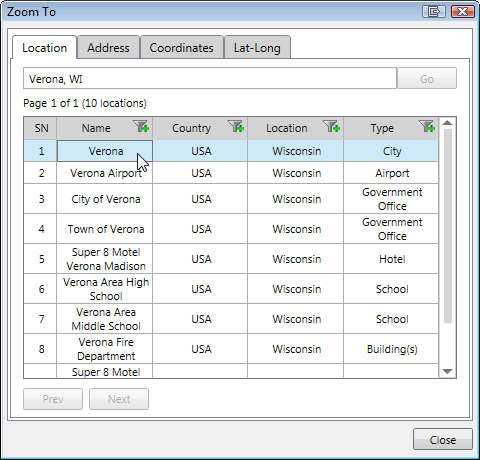 To better georeference the image, display the Properties dialog box of the image file and change the transparency of the image so that you can see through the image to the background Base Map. A transparency value of 40 to 50% works well. Final placement of the image takes patience. 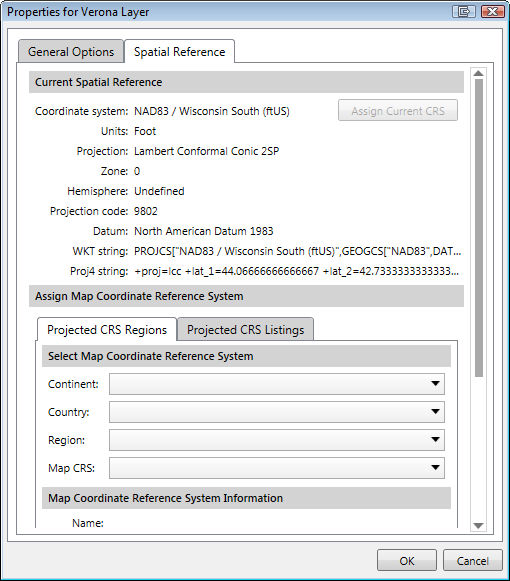 Other map data can be georeferenced similarly, including AutoCAD drawing files, ESRI GIS shapefiles, and even HEC‑RAS models. Apply the same process as detailed above.